Judy is a Master Practitioner in Clinical Counselling, MPCC 2181;Registered Professional Counsellor/Psychotherapist, RPC; CCPCPR 1020 ~ a full member in good standing with the Canadian Professional Counselors Association (CPCA), the Canadian College of Professional Counselors & Psychotherapists (CCPCP); integrating the best of Dr. Gordon Neufeld’s Emotional/Relational Attachment Theories in Developmental Psychology; Gottman Institute L3 for Couples/Marriage Counselling; Dr. Sue Johnson’s Emotional Focused Therapy, EFT; Transactional Analysis, TA; Dr. Gabor Mate's Compassionate Inquiry & Genesis Process for Addictions Healing Recovery; Neuroplascity of the Brain; Structural Integration Therapy. Judy’s counselling & psychotherapy practice incorporates an Integrative Approach, designed to meet a client’s individual needs through the best of: Emotional Attachment development & growth, Core Beliefs, Family Systems, Relational Dynamics, Transactional Analysis/T.A. Psychotherapy, Narrative, Cognitive Behavioral Therapy, Spiritual & Holistic counselling. Judy’s unique Integrative Approach is effective 'Compassionate Inquiry' – meeting the Client’s individual needs for healthy changes with new insights & deeper understanding, aligning with a client's inner-knowledge/'true-self', practicing new skills & tools to reach real solutions that work to attain their set goals. 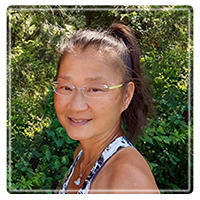 Clients have found Judy's Integrative Approach to be highly effective & efficient to meet their individual needs for finding healthy resolutions and lasting results that work - often with no need for long-term therapy. Together, we work to identify & to let go of the obstacles & old patterns that keep us “stuck”, then learn & practice new, healthy & responsible changes to achieve your set goals for healthy functioning & well-being. As well as a private counselling practice, Judy also has 10 yrs experience in Kelowna's community - volunteering & leading ’Life Solutions’ groups to facilitate personal & relational growth, supporting mental health education & emotional well-being. Judy’s focus is results-oriented – for Clients to efficiently move through their counseling process - resolving inner/past conflicts, old hurts, frustration, anger, bitterness, loneliness, past issues, hopelessness, feeling ‘stuck’ & in despair… to nurture & embrace their 'true-self' - enjoy new experiences of healthy functioning & well-being, feeling renewed energy, loved, empowered, freedom & a joy-filled, purposeful life with no need for ongoing, long-term therapy. Judy’s Philosophy ~ "Empowering YOUr Best Life" – I facilitate a personal journey to embrace healing changes to embrace your “True-Self” - authentic, congruent, consistent, compassionate, healing, freedom, hopeful, loving, powerful, purposeful, passionate – Creating & Sharing a rewarding Life Story in healthy relationship with Self & others. Judy’s Life Story is created around family – husband, adult children & grandchildren, colleagues, friends, outdoor adventures, arts & music, personal development, spiritual growth & healthy living. She counsels clients in Parksville, Qualicum Beach, mid Vancouver Island; provides E-Counselling to international clients, and continues to volunteer in community as time permits. Contact Judy to discuss your needs and how her experience & training can assist you in moving beyond coping with troubling issues to Effective Life Solutions ~ re-newing hope, energy, freedom, passion & purpose… Embracing your authentic ’True-Self’ ~ Empowering & Sharing YOUr Best Life.